The United States Constitution, as Seattle police officers pretend to understand it, extends to police an unqualified right to the discretionary use of aggressive force, and prohibits “second-guessing” by those who are not members of the State's coercive caste. At present, in most of the country a police officer who brutalizes or kills somebody without moral justification can take refuge in the “totality of circumstances” test. In practice, this is nothing less than an unalloyed entitlement to kill first, and devise a suitable rationale after the fact. Just as unconscionable, from the cops' perspective, is the fact that their violent actions would be subject to what they call “the very second-guessing prohibited by the Constitution” – that is, their actions would be scrutinized by people who are not part of their privileged class. This distant possibility of accountability “places unconstitutional risks and burdens on the Plaintiffs' lives and livelihood,” pouts the civil complaint. Those unacceptable risks can be avoided, of course, if police officers unwilling to deal with the modest dangers associated with that vocation would pursue other employment. The vexatious and complicated conditions imposed by official “use-of-force” guidelines would be unnecessary if police officers were subject to the same non-aggression standard that applies to everybody else. But extracting aggressive violence from law enforcement would be as futile as attempting to dehydrate water. John T. Williams, prior to being "protected and served." 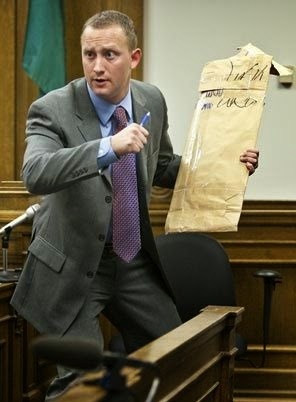 The use-of-force approach preferred by the Seattle police plaintiffs was displayed in the August 30, 2010 murder of John T. Williams on a street corner by Officer Ian Birk. 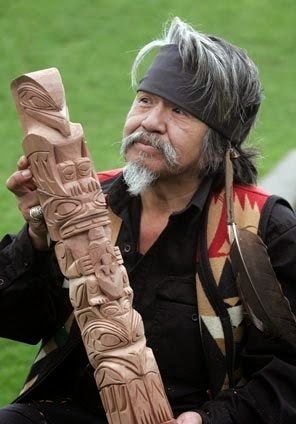 Williams, a partially deaf, 50-year-old alcoholic woodcarver who suffered from psychological problems, was shot four times by Birk within a few seconds of the encounter. 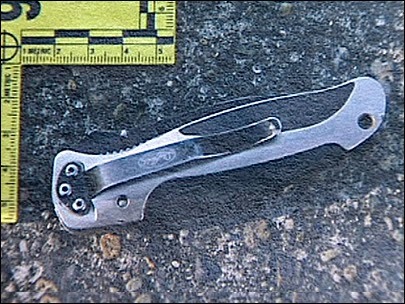 Birk claimed that he had been "threatened" by Williams, who was carrying two small, closed knives at the time of the incident. The autopsy, however, documented that Williams wasn't facing Birk when he was shot: The officer approached him from behind and to the right, and Williams was shot in the right side of his body from an estimated distance of about ten feet. In addition to being partially deaf, Williams was wearing headphones at the time he was killed. The victim’s non-cooperation, which was interpreted by Birk as hostility, most likely meant that he never heard the demand to drop his carving knife. Since the knives were legal under Seattle’s municipal code, Birk’s demand was not a “lawful order” in any sense. 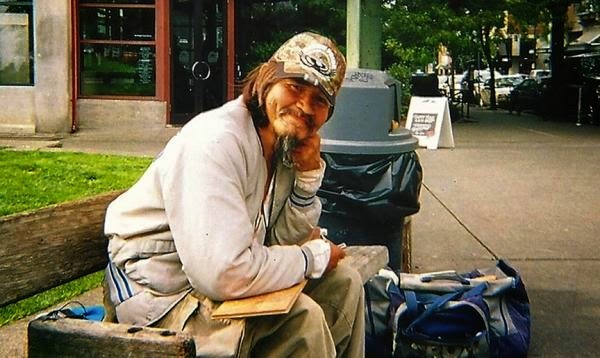 During the January 2011 inquest into the shooting, Birk stated that he gunned down John T. Williams on a Seattle street corner because he didn't like the way the 50-year-old chronic alcoholic looked at him. Play-acting and perjury: Birk on the stand. Birk’s description of Williams as displaying a countenance like that of the legendary Celtic warrior Cu Chulain (whose “eyes were dark, his expression sullen”) wasn’t confirmed by any of the several non-police eyewitnesses. Although Birk and his defenders invoked the “reasonable officer” standard to justify the killing, no reasonable person would have considered Williams a threat to Birk. We know this because there were several reasonable people who witnessed the incident, none of whom perceived the pathetic man to pose a risk to anybody. This is because none of them had ben indoctrinated to perceive even a momentary lack of cooperation by a Mundane as a "pre-attack indicator," or marinated in the conceit that officer safety always and everywhere trumps every other moral or practical consideration. “Why did you shoot him? He wasn’t doing anything!” exclaimed one woman after Birk killed Williams. It took just seconds for Birk to escalate an incidental encounter to the point of homicide. His reflexive reaction was to kill someone who was demonstrably harmless – and the programmed response of the first fellow officer on the scene was to commend Birk for doing so. Officer William Collins, who arrived in response to Birk’s “shots fired” report, told him, seconds after the killing, that he had done a "good job." All that Collins knew at the time was that a fellow member of the punitive caste had just killed a Mundane -- and that's all he needed to know. No “second-guessing” would be necessary, or allowed. During the January shooting inquest, Seattle police brutality lawyer Tim Ford asked Collins if a closed knife constitutes a threat to "officer safety." A closed knife is "a major threat," Collins insisted, "just as big as an open knife.... It's extremely dangerous, and you have to treat the person with utmost caution.... [I]f you don't drop it, you may be shot" -- even if it is closed at the time, the officer maintained. “We don't get paid enough to be hurt,” simpered Collins on the witness stand. Detective Jeff Mudd, who also testified at the inquest, also applauded Birk's decision: "We're trained to shoot people who pose a threat to us." The alleged “threat” posed by Williams consisted of a dirty look the decrepit old alcoholic had supposedly given a young, healthy, but lethally craven police officer. Birk resigned after the Seattle PD’s firearms review board ruled that the killing of Williams was “unjustified and out of policy.” Police Chief John Diaz referred to Birk’s actions as unjustified and “egregious.” Therefore it was an act of criminal homicide, correct? Not according to King County Prosecutor Dan Satterberg, who declined to file charges. Significantly, the Obama-Holder Justice Department, which devised the new use-of-force standard that is supposedly suffocating the bold and valiant officers of the Seattle Police Department, also refused to file civil rights charges against Birk. Seattle-area tax victims were forced to pay a $1.5 million settlement to the family of John T. Williams. The only “punishment” Birk received for the unlawful killing was his compelled resignation from the police force. 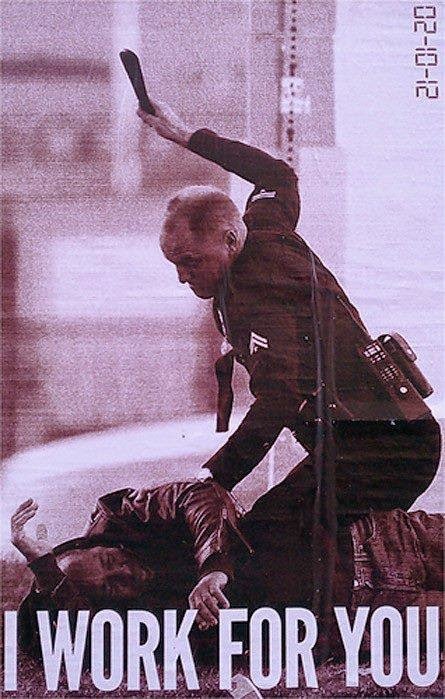 According to the plaintiffs in the Seattle police lawsuit – who, remarkably, are not being supported by the local police union – this was an atrocious violation of Birk’s civil rights. Most people believe that the purpose of the Bill of Rights is to protect citizens against abuses of their rights by government officials. The incurably self-preoccupied people behind the Seattle police lawsuit apparently believe that the Bill of Rights exists to emancipate law enforcement officers from restrictions on the use of lethal force, and immunize them against legal, civil, and professional accountability when they kill people without legal justification. I know!! It's beyond comical. I had seen the video from the original dash cam several times. I had never seen the second angle. I was very curious as to what the hell they were lining up for. I never condone the (over)use of force nor excessive/criminal violence by the police... but even with the most straight-forward and unjustified criminal acts by them, still nothing happens from the prosecutor, et al!! It makes me wonder why I get up in the morning. So apparently after the failure of all the gun laws in California, an la times columnist and a Hollywood actor both came out in favor of banning all privately held guns. This actor is taking a page out of the typical cop's book by threatening to go door to door and physically take guns from citizens. Then when people told him they would shoot him, he played the victim card. As David Codrea demonstrates, the gun banners will never, ever be happy with gun control laws until the govt has a complete monopoly. No matter what lies they give or claim at the time, they want all guns banned unless the government owns them. I loved seeing the original quote from the 70s by the handgun control founder who advocated one step at a time measures until all guns were banned. Now the same groups claim they just want a little regulation here and there. By the way, Codrea is one of the two bloggers who broke and kept alive the fast and furious story when the mainstream media censored it, and he frequently links to Grigg's articles on his blog. By the way, if it takes multiple cops with guns against some crazy yet harmless old man who is minding his own business, how will the cops react when the inevitable comes and people start resisting aggression in much larger numbers and in more violent fashion? Will the cops just take sick days for officer safety? Or will they stop bullying innocents once the tables are turned? Yet another amazing grigg article that reminds me of the scene from A Clockwork Orange of all the former criminals who became cops. They'll run like the cowards they are just like all gang members do. That's exactly what they did in Los Angeles during the Rodney King riots, they tucked tail and fled, all the while not blinking twice to kick in doors and violate the constitutional rights of citizens. One man dead, shot at a distance, obviously innocent. The shooter gets to live, free, for doing it and government.... They're ok with that. The Nazis claimed that the Jews are the most dangerous race of humanity and should have been exterminated. For proof, you only have to look at what happened to the Nazis at the Nuremberg War Crimes Trials: They all got executed because of the Jews. See? A highly dangerous race. Case closed. For those who cannot see the analogy: The Polizei in America say the public is dangerous. Look how much trouble the Polizei get into when they beat up and murder members of the public. Their only recourse, in their small brains, is even MORE force and violence to make us stop "resisting" the pain they are inflicting. (Usually in these incidents, their victims finally stop resisting to a satisfactory degree when they become lifeless bodies.) Perhaps, they will soon say, the public is SO dangerous, and causes the Polizei SO much trouble, we should all be treated to a shower with Zyklon B. Are you laughing? Don't be. Perhaps some day your last breath will not one of air, but one of potassium cyanide gas. Or lead. You won't laugh then. That makes the District attorney and the Chief of Police accesories to murder. Those in authority that excuse this and do not prosecute are no better then the murderer himself. So the queens of the Seattle Police Department believe that they do not get enough respect from the public, and that their jobs expose them to unacceptable dangers?? What do they want? They get to dress up in pretty costumes and drive around in fancy conveyances, all provided for them by the public. Do they also want titles, like the old aristocracy, such as "Duchess," and "Princess?" Do they want the public to speak to them only when spoken to, and to limit their responses to, "Yes, your Majesty," and "No, your Majesty?" I think the Police Chief himself should wear a crown while on duty, and all the ladies of the Police Department should be issued with diamond tiaras. This way, it will make it easier for us Mundanes to address them with the proper respect, such as "Yes, your Highness," and "No, your Ladyship." footmen can whip the offending Mundanes soundly with riding crops. That should teach us a good lesson. PS: And if any of you post a response to this, don't forget to address me as "Your Ladyship." LG, you've got me laughing, that is so true and a really good way of making that truth clear. I only wish I could explain such things to my poor old mum - she's a bit old for learning big new concepts, likes cops and is a royalist. From her point of view she's probably wondering where she went wrong raising me. Mr Grigg has previously covered the droit de seignieur which such predators with impunity expect. It's rumoured that one of the British royal females (since deceased), who held the honorary rank of chief officer of several military regiments, would keep the officers at the regimental dinner sat at the table for as long as it took for her to be supplied with a suitable man for the night (none were allowed to leave the table until she as highest ranking officer left). I think it was Don Duncan (posted by Wendy McElroy) who wrote that once you understand the basic axioms, then everything else is implied by them and can be deduced from them in the same way that all of Euclidean geometry is implied by Euclid's axioms, and can be deduced from them. Starting with the axiom that some may aggress against others, and those others may not resist or respond in kind - then almost all of the abused that Mr Grigg covers so well each week are immediately implied. Admit any rank or privilege other than freely given (which implies the freedom to take away without notice) esteem, such as royalty or a blue costume and pot metal badge, and it will be abused. Get on the JURY ..... get on any JURY you can ..... YOU can change things. YOU know they are liars and uniformed criminals ..... imagine the SHOCK when JURIES start refusing to convict abused CITIZENS ...... and CONVICT JACK-BOOTED-THUGS. IT IS YOUR DUTY TO GET ON THAT JURY. Just like any third world banana republik dear leader is arming all alphabet soup agencies. Is this the private army the manchurian messiah was talking about in 2008? I doubt the donut molestors will stick around when the checks no longer cash and Weimar wheelbarrows full of green paper that are not worth a roll of pennies are outside every strip mall but they will stay the same criminal mercenary thugs that they are. Clearly it's time to clear the ranks of any and all police officers who refuse to BE police officers who adhere to their oath of office to protect and serve the people of their city according to the limitations of the US and Washington State constitutions. Fire them and get people who can do the job right! sorry to say, even if you co-opted hobbits into the institution, the founding principle of that institution (some have the right to order others around by force - and those others have no right to respond in kind) will soon transform them into orcs. There are many accounts from the twentieth century of good people who joined bad institutions with the intention of doing good. worse than that - seeing a trusted and known good person in the institution lulled many victimes into a false sense of security, and thus falsely reassured, they failed to act as the situation required. Meyer's "They thought they were free" describes how the trusted town policeman went around after kristallnacht and all jewish males willingly went with this trusted and respected individual into "protective custody" The rest of the story you know well. Cornelia, Georgia PD beat that level of vicousness three days ago: "A 19-month-old boy was sleeping in a Georgia home with his parents and three older sisters when police entered, looking for a drug suspect. Officers threw a stun grenade into the boy's crib, critically injuring the toddler, his parents say. The family, visiting from Wisconsin, was not associated with the crime, and the suspect was arrested at a different house." Don't worry about the typos, we know what you mean. This is not out of any allegiance to either of them, or acknowledgement that they are any better than me, or that their dung smells any better than mine. I just hung onto my red passport as well as the blue one, so that if I ever become of too much prurient interest to the USGOV, I can go disappear into Europe. Not that the cretinous German tribe calling themselves "Windsors" are much better. (I have a friend who swears he has a photo of Philip in a Nazi Youth uniform, which he stole out of someone's album, but he won't show it to me, out of fear I'll tell someone I saw it with my own eyes. Philip was no more Greek than a loaf of pumpernickel bread.) The best of that family are the women whom they marry, such as the Queen Mum, who was a Scot, and Diana, who was descended from the Norman-French Spencers, a much older family than the "Windsors." Impostors one and all. The only way those Hanoverians ever made it into Windsor Castle was through an unlocked window. Live long and prosper, paysan. Why Isn't Dana Rohrabacher in Prison?